The blockbuster best-selling author of Night Road and Firefly Lane delivers a masterful novel that explores the sacrifices of one American family and illuminates the true cost of honor, duty, and love. From a distance, Michael and Joleen Zarkades seem to have it all: a solid marriage, two exciting careers, and children they adore. But after twelve years together, the couple has lost their way; they are unhappy and edging toward divorce. Then the Iraq war starts. An unexpected deployment will tear their already fragile family apart, sending one of them deep into harm’s way and leaving the other at home, waiting for news. When the worst happens, each must face their darkest fear and fight for the future of their family. 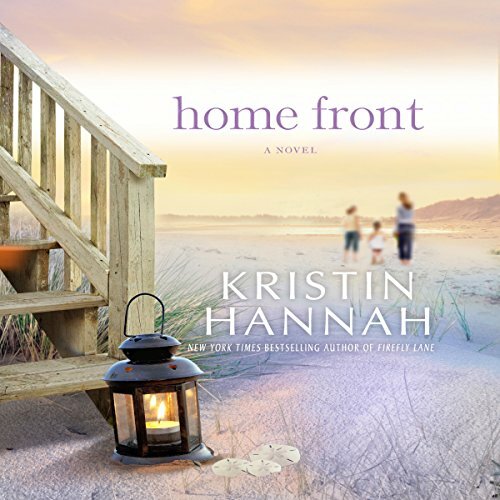 An intimate look at the inner landscape of a disintegrating marriage and a dramatic exploration of the price of war on a single American family, Kristin Hannah's Home Front is a provocative and timely portrait of hope, honor, loss, forgiveness, and the elusive nature of love. A wonderful story. The only thing that I did not enjoy was the readers voice of the childern. It was grating and over kill. I wanted to like this book, but I didn't. 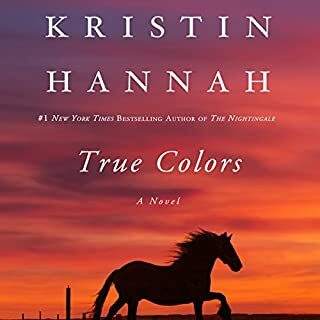 I have listened to other Kristin Hannah novels before and enjoyed them. I almost "quit" a few times but I had made an investment. I didn't care for any of the characters. The main character was out of touch with reality and her "I have to be perfect" attitude drove me crazy. Her children did not act their ages. The 12 year old was beyond obnoxious and totally self centered. All the youngest child did was whine. The narration really is was ruined it for me. A good narrator allows me to interpret the writing. Ms. Reed tried to force emotions down my throat. Too melodramatic. The childrens' voices were terrible, so over done and loud. I will try Kristin Hannah again, but I will avoid Maggi-Meg Reed, the narrator. 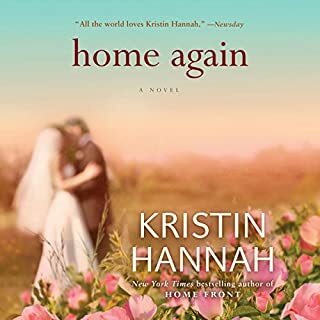 This book was very emotional with a bittersweet happy ending which is exactly what I expect from Kristin Hannah. This is not my normal type of book but since I've loved all the books I've listened to by this author i knew I had to give it a try. Its not an easy book to listen to and had my emotions going up and down so many times but could I really expect anything else when listening to a book about a female soldier who leaves her 2 daughter and a rocky marriage behind to fight for her country. My only complaint about the story was the 12 year old daughter. I understand she is hormonal and upset but seriously most of the time she was just a BRAT! The way she spoke to her parents and treated her little sister most of the time really made me dislike her and I found it hard to feel for her. Besides her, I loved the growth of the other characters in this story so much. The husband who had to change his world around to become a "single" parent while his wife was away really was my favorite character in this book. He started off a bit of a jerk but he found his way and in the end he was everything he needed to be for his entire family. The narration was not for me. She over acted in my opinion. Every thing was so dramatic and her kids voices where way over the top and almost ear piercing! Home Front is a truly eye-opening read. What made the experience of listening to Home Front the most enjoyable? Home Front is so well-written and read so realistically. I could see the story as I listened to every word. Everyone should listen to this book. It made me more appreciative of everything our service women and men go through and what they sacrifice for us. The portrayal of the characters and what they experience as the story evolves. Who was the most memorable character of Home Front and why? My father was a disabled veteran and an amputee. The experiences that were written about are so true and relevant to the whole story. What Jonelle experienced is really what they go through and so many people have no idea what they have lived through and are trying to do as they put their lives back together. 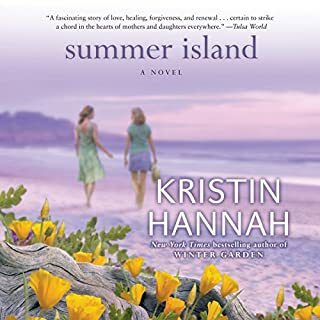 I have listened to (and loved, and recommended) every single book that Kristin Hannah has written. That being said, I couldn't even get through this one to the end. I appreciate very much (especially since I lost a family member in Afghanistan) that she's trying to enlighten her readers to the horrors of war and how PTSD affects a family -- especially one that's already a bit broken to begin with. But this book was just... I don't know. Heavy. Dark. Depressing. Frustrating! I hated the characters -- Betsy the teen was not like any 12 year old I've ever known, thank God. I wanted to strangle her. The husband wasn't much better, and the four year old was an odd mix of very grown-up talk and patty-cake. The book had great reviews on Amazon, so I really, really wanted to like it. But I couldn't do it. I stopped listening with about three hours left. I couldn't take hearing one of the kids "bump into" Jolene again, hurting her and causing her to curse while the father just stood there. Hello? Wouldn't any REAL father chastise or even yell at those kids and tell them to be careful? But no. It keeps happening over and over. Anyway, if you listen, you'll see what I mean. There were some flaws in the narration (although maybe it was the book?) where a girl named Sierra is called "Sienna" a few times. The narrator did a great job otherwise. Overall the writing style was superb -- typical Kristin Hannah. But the story was one endless stream of anger and crying. It made me feel depressed. Evidently I don't share the same feeling about this novel as the editorial staff at audible. While the research involved - into recovery from traumatic war injuries - is thorough and detailed, the narration is too loud, too exaggerated and there is just too much crying. I have a very hard time listening to narrators crying, as the decibels are turned way up and the pitch reaches a dissonance that I can't tolerate. It is perfectly easy to portray crying in a softer voice. The sullen daughter is overdone and nothing comes out of her mouth that isn't whiney, angry, shrieking and narcissistic. Granted, many kids her age are exactly like this, but the narrator made it much worse. I had to turn the iPod off several times just to get a break from this completely unlikeable person. The story is a good one, just ruined for me by an overzealous narrator showcasing all the negative emotions in HD. I love Kristen Hannah. I have listened to many of her books and will search them out when I have a long trip. This book, however, was rather tedious and predictible. There was so much detail that i found myself drifting and having to back up the recording. 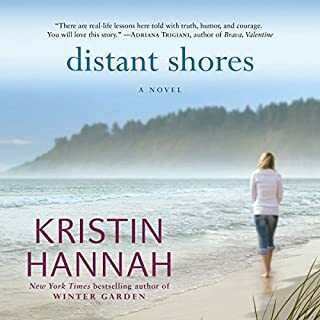 If you’ve listened to books by Kristin Hannah before, how does this one compare? I would say it was way below the norm for her books. The attempt to make the female lead into this gung ho soldier did not work for me. This book could have been very good. 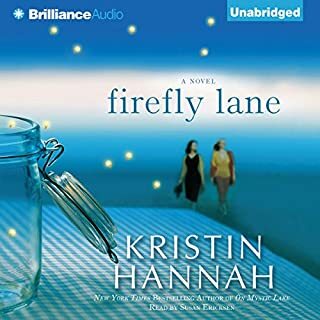 I read Firefly Lane and liked it; so I expected to enjoy this book as well. The story line was interesting, war stories are not usually told with female military personnel in the lead character. But I did not enjoy this listen very much. I did not like the narrator. Everything sounded whiney or loud. When Joleen constantly yells at Michael to "go away" I would have imagined it to be a soulful, and very sad "go away," not screams. Betsy's whiney voice got very annoying. And Betsy's behavior would not have been tolerated by the type of mother I envisioned Joleen to be. What disappointed you about Home Front? Sappy, no plot, whiny characters, just stupid. 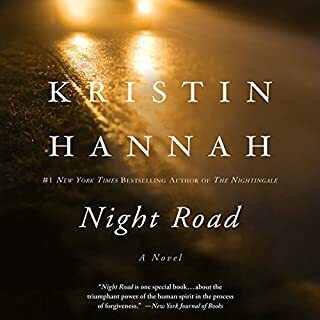 Would you ever listen to anything by Kristin Hannah again? Have you listened to any of Maggi-Meg Reed’s other performances before? How does this one compare? What character would you cut from Home Front?